Are you about to start a building project that requires the use of a mini digger? D Shanks Builders has a 1.8 tonne mini digger including driver that is available to hire at a great price, meaning that you have a cost effective, professional workman completing your excavation work. Contact us today to check availability and prices or to make a booking. 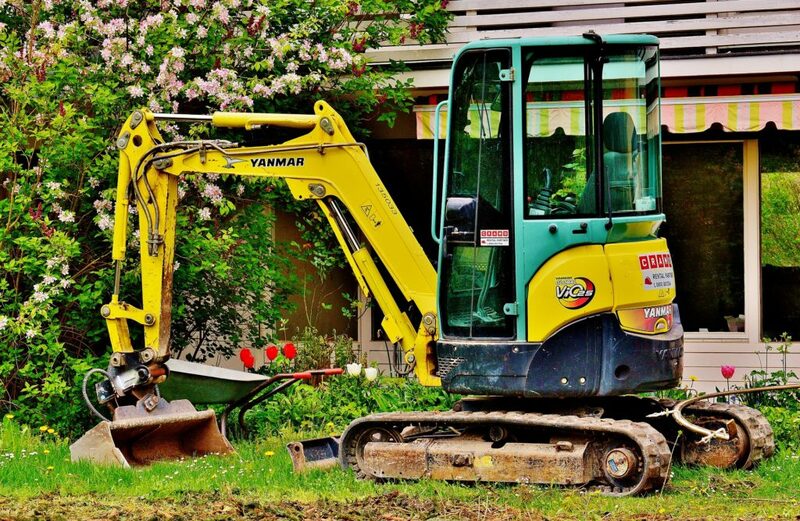 When it comes to mini digger hire from D Shanks Builders, we can provide you with a fully qualified and experienced driver, giving you complete peace of mind that the excavation work will be completed in a timely manner and to a high standard. We have 3 sizes of bucket available to suit various types of excavation and breakers can be hired for an additional cost. Over the years, D Shanks Builders has completed various construction projects of varying sizes. In this time, we have gained an outstanding reputation for delivering exceptional customer service and high quality results. If you would like to discuss your needs and to get a free quote, contact us today!